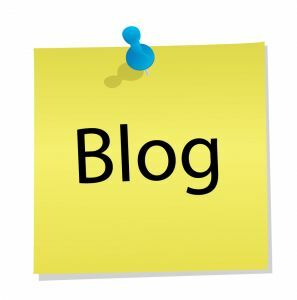 Why should my law firm have a blog? When I started my law firm in 2009, I had just moved to Washington, DC and was not sure where to begin. I knew that the internet was the source most potential clients used to find an attorney, so I started doing a lot of research. One of the first things I realized was that Google AdWords and other pay-per-click (PPC) based programs were way too expensive. For example, if I wanted to do AdWords campaign DC DUI lawyer, it would cost me around $25 every time someone clicked on my ad. Due to the bidding process used by Google, I would have to commit to spending hundreds of dollars per day to even get placement in the top three results on page one of the search engine. There was no way this was going happen. Luckily, I spoke with my college roommate, Joel Moroney, who happened to be the founder of Law Firm Ghost Writer and he explained to how to set up a law firm blog and how to effectively blog. I began blogging on a regular basis (sometimes four entries per week) and quickly reached prominent placement on Google with multiple page one results. The reason legal blogging works so well is because of the concept of organic Search Engine Optimization (SEO). Organ SEO involves the use of unique content that includes keywords typically used by prospective clients. It is very important that you are writing unique blog posts and not simply cutting and pasting news articles already on the internet. The reason for this is because most major search engines only assign value to unique content. After about a year of blogging, I had enough clients to represent that I no longer had time to blog on regular basis. This is obviously a good problem to have, but it is a problem none the less. I spoke with Joel again about the process of hiring a legal ghostwriter. I was very concerned about the quality of the content, because after all, these posts were going to have my name and my firm associate with them. Joel assured me that every post writing by his company was going to unique, high quality, and up to the standards of my firm. 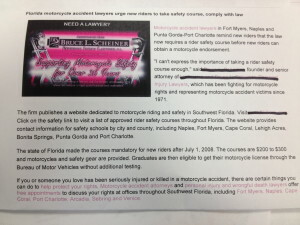 The most important thing is that I would get to review any blog posts prior to them going live on my law firm website. When I was in college, my layout and design class was the first to switch to Adobe and away from old-school pagination. We got high-speed Internet in the dorms at The Ohio State University in 2000 (about the same time OSU went to court to formalize that ‘The’ in its name). We were cutting edge, and among the first places in Ohio to have it (high-speed Internet, not Proper articles of grammar). During my first year at my first newspaper job — Mansfield News Journal — we got our first website. So you can say I started working in newspapers before they had websites, if only by a changing of the seasons. Old-school newspaper paste-up pagination to Adobe, dial-up Internet to smartphones, yellow pages to a robust Internet marketing strategy being vital to the success of law firms large and small. A dozen years, give or take. Which brings me to my recent post Evolution of Legal Blogs Continues to Impact SEO, and how what we do today resembles very little of what we were doing in the dark ages of 2009. Pedestrian safety tips are no longer going to cut the mustard. We made the change several years ago but so many writing legal blogs continue to do the same old thing, while expecting positive results. It’s the rest of the world that has moved on. An old associate doing SEO work in Miami called this morning to say as much. He was looking for court cases and other shareable content. He wants what Google wants, which is to provide his client with something worthwhile to say. In some cases, that might include a mainstream health and safety study, or information from the National Highway Traffic Safety Administration. And it’s not to say basic safety advice — from Halloween to Fourth of July — is not still a sharable, viable interaction with your audience. But it does mean that telling me a motorist is ACTUALLY 23 times more likely to get into an accident while distracted EACH AND EVERY year, is likely, blessedly, mercifully, dead on arrival. Today we use Justia US Law, Google News Alerts and other resources to stay abreast on the latest topics of use to our clients and their audience. It’s what we want, it’s what our client wants and it’s what Google wants. Because if you’re going to write, you should first start out by having something to say. 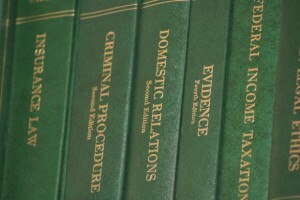 For legal blog topics, check out our topic roll! 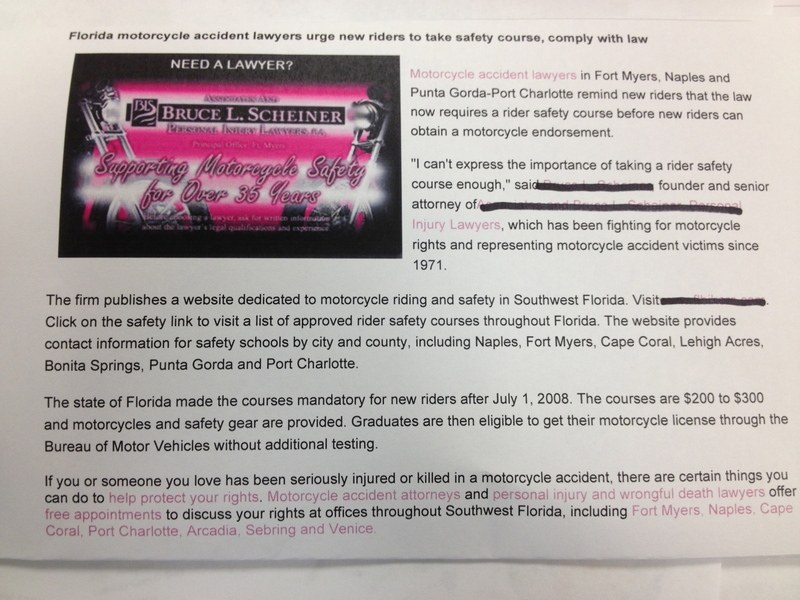 I had a chance to compare some of our legal blogs published in 2009 v. 2014 and the comparison is startling. When we started in 2007, you could publish a legal blog and see it three times on page 1 of Google — the blog, the homepage and the blogfeed often all returned as separate results. Ahh, but those were the good old days. Looking back, those blogs often said very little and did very little, other than to unabashedly plug the firm. While confidentiality and duplicative content issues keep me from republishing those blogs here, you can see by the screen captures to the right that the old-school blogs contained relatively little text and had half-a-dozen links back to the firm. By contrast, today’s blogs and articles produced by our legal blog writers are 500-750 words, Copyscape tested at least 85 percent original, and focus on informing the reader as a way to bring traffic to the firm. Cheap website content for lawyers is not hard to find. We can point you toward several resources where it’s as little as $10 page. 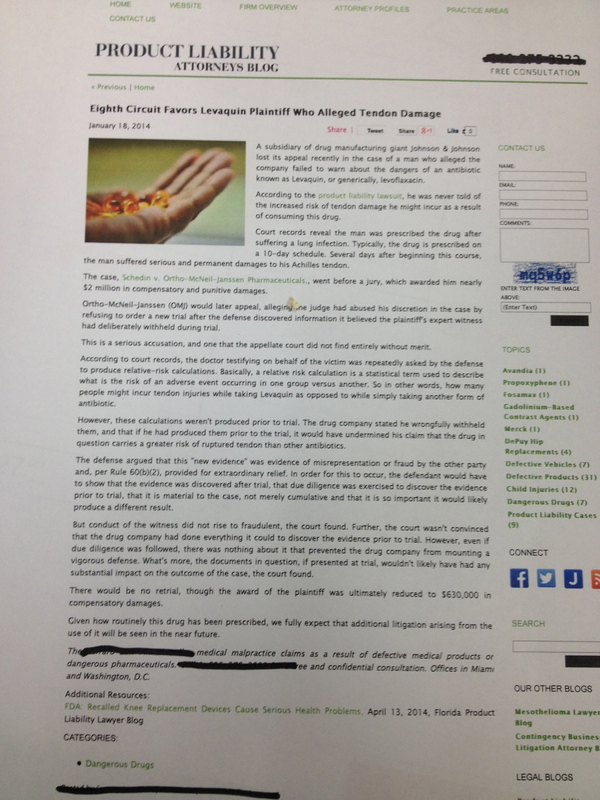 If you have a $10 law firm, we suggest you buy $10 legal content. In other cases, a law firm gets a quote for $25 or $30 legal blogs and inquires about whether we will match those rates. On at least three occasions, they have sent me samples from these content farms, and I have tested them only to find they are being sold word-for-word to multiple law firms. In other words, law firms are paying for content to improve SEO, and the discount writing houses are selling them duplicative content that will be ignored by search engines and may even result in their site ranking being reduced! 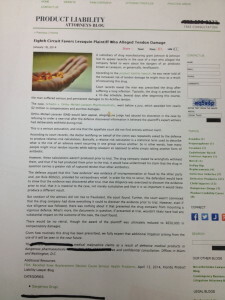 And these are the blogs these companies are sending to lawyers as sample work product! If your legal blog writers are busy plagiarizing themselves, why in the world would a search engine choose your firm’s “content” as desirable to display to their customer, who is conducting a web search in the hopes of finding worthwhile information? Internet Legal Marketing Still the "Wild West"
Top executives from Facebook, Ford and Adobe met in Las Vegas this week at the annual Consumer Electronics Show. The interplay offered a fascinating look into the dynamic growth of the marketing industry in the digital age. Those using 2014 to get serious about their law firm Internet marketing efforts can take heart from the general consensus: Despite a decade of rapid expansion and forced change upon the more traditional mediums of print and television, online marketing remains in its infancy — a wide-open opportunity with significant growth and return on investment for those who continue to invest and innovate. The conversation among the three executives and Fortune Magazine was particular interesting. Carolyn Everson of Facebook, said the company has barely scratched the service of revenue possibilities. Specifically, “multi-touch attribution,” or credit for brand recognition or other benefits of Facebook content or advertising that, in conjunction with another advertising platform, such as television, induces customers to act. Meanwhile, Ford’s Jim Farley and Adobe’s Ann Lewnes, spoke about the challenges of transitioning to digital media. Even Adobe, which has long been a technology company, has struggled in finding the proper personnel and online marketing strategies for the 21st Century. Multi-touch attribution is of interest in Internet marketing for lawyers for a number of reasons and is something we often counsel attorneys about when developing marketing plans. Historically, firms would use metered phone numbers in yellow page or billboard advertising and track calls back to the firm. Google analytics and other advances have changed the Internet legal marketing landscape and often show potential client traffic from legal blog writing or website content, even when an attorney is unsure of positive results. Billboard advertising, for instance, may help with name recognition in search results. Or a client may see a commercial on television and use a law firm’s website as validation before calling for an appointment. Is that potential attributable to billboards or the Internet? Ford’s Farley brought up another important point, according to CNN Money: Brand managers too often want to play it safe when introducing a new product, and so rely heavily on TV buys and other traditional forms of media. They know the DVR and other media advances make those buys worth a fraction of their former value. But they also know it’s the safe play and so the resulting marketing plan is inferior and return on investment lags as a result. We are pleased to launch the all new www.lawfirmghostwriter.com. Offering the latest in responsive-design technology, the new LFGW site is designed to provide an optimal viewing experience without resizing on any viewing device — including tablet computers and smartphones. We would like to thank GoMedia in Cleveland for care and watering. The new platform and branding ensures that Law Firm Ghost Writer remains the premiere provider of Internet content solutions for law firm’s nationwide, and will provide a dynamic platform for year’s to come. When it comes to legal marketing online, attorneys are forever getting around to expanding their website. Or writing blogs. Or both. 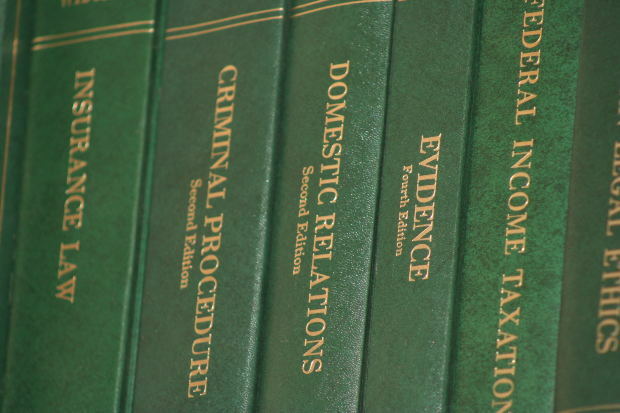 It has been nearly 4 years since the first marketing study showed the Internet surpassing yellow pages as the leading referral source for attorneys. An eternity ago, in Internet years. The truth of the matter is that most website platforms are capable of getting the job done (we like Justia). You can even, God-save us, do-it-yourself. Just do it.What you do with these platforms will determine whether you succeed or fail. 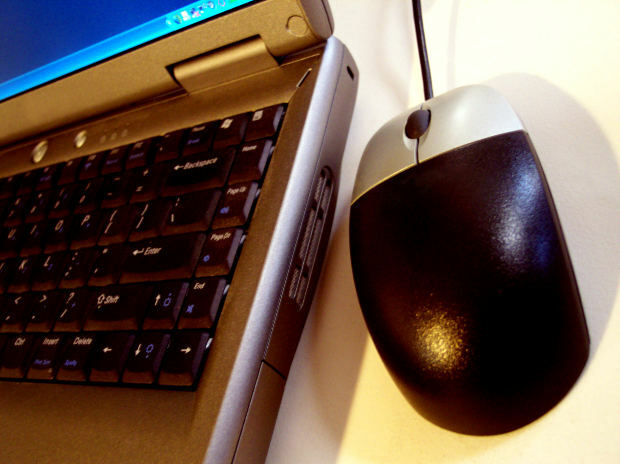 Law Firm Ghost Writer is the most respected name in legal website content writing. 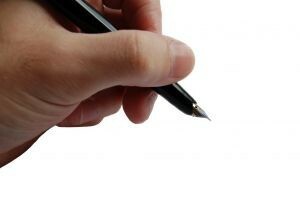 Our legal blog writers, and Internet content writers provide hundreds of pages a month to law firms in more than 30 states. We have evolved to provide other legal marketing services at the request of our clients. What you will find is a ready staff capable of providing you with comprehensive Internet legal marketing services, or services on an ala carte basis. Blog writing services, for example, start at just $200 a month. Other firms elect to spend several thousand dollars a month or more on a more robust effort. There just is no more time for excuses. And there is no magic bullet for search engine optimization. Ongoing, sustained effort will pay dividends. Anything else will eventually fail. And every day that goes by is one more day that your competitors have to get out in front of you and then stay there. Make this year of the Internet. We’ve left the lights on for you.